Involuntary Psych Hospitalization: Tell Me Your Story! We haven't written about involuntary psychiatric treatment on Shrink Rap for a while because it gets our readers really stirred up. Now I'm going to try to stir you up. ClinkShrink and I are talking about writing a book on the different perspectives of involuntary hospitalization -- we'd like to put both sides of the argument on the page and look at issues related to patients' rights as well as families, members of the law enforcement and legal systems, and the doctors, nurses and hospital staff. Roy is involved in his techy projects and won't be in on this, though we will continue to get his input and to eat pizza and crabcakes with him. We're at the point where we need a "sample" chapter to illustrate what it is we are trying to write. This isn't going to be a real chapter in the book (I don't think), but just "here's the idea." 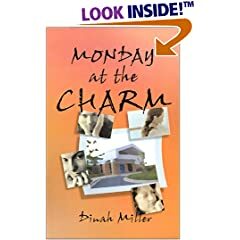 Because the actual chapters will entail a great deal of interviewing and reviewing medical records and speaking with people and their families, I'm looking for an easier way to begin the process, and truthfully, the idea was inspired by our Shrink Rap readers who have written in over the years with stories about how they were damaged by what occurred during their involuntary hospital stays. It got us thinking that there have to be better ways, while at the same time, it seems that it's shameful that our society leaves terribly psychotic people living on the streets and eating from the garbage because there is no way to treat them. Maybe if treatment were nicer? So I need your help. I need someone with a really good, detailed story to be the subject of my sample chapter. Will you tell us your story in the comment section, or email it to us at Shrinkrapblog at g mail dot com? The comment section might be nice because it would allow for others to dialogue. We don't need your name, but please don't write as Anonymous because I won't be able to the stories straight, a nickname is fine, and you can sign in to Google as "anonymous" as long as you sign the entry with some name that distinguishes you from the others. Also, I might want to speak with you later, so if that's not acceptable, then maybe you don't want to participate. For the sake of the sample chapter, I would like to hear from people who feel they've been treated badly. The "so glad they committed me, it saved my life" is for another chapter. If you're a psychiatrist and you have a patient who feels they've been unduly traumatized by an inpatient admission, please see if they want to participate, and the same goes for family members. Obviously, books are about stories, and the stories need to be compelling. Years ago, we did a poll, and I was struck by the fact that two-thirds of those who had been involuntarily hospitalized said they would not want to be hospitalized again, even if they were a danger to themselves or others. In advance, thank you so much. "The reimbursement for visits to my out-of-network psychiatrist on my plan which is self-funded by my employer have dropped a staggering 57% in 2013!!! A 90807 visit in December 2012 yielded a $262.50 check from the insurer for a visit with a $375 allowable amount. Actual bill is higher. Now a 99212 and 90836 visit (nothing changed but codes) yields a $114.10 check from the insurer for a visit with a $163 allowable amount. I was considering appealing the claim (now claims as I've submitted many claims at once) but thought there might be a better approach. Have any ideas? What patient/medical groups could help? Anyone collecting data on this?" Where do you live that $375 is considered reasonable and customary? Is there housing available there? You could see if the psychiatrist will code higher and if that will make a difference. It might not. To code higher for the E/M portion, the doctor could code a 99213 which entails documenting just a little more in his notes, but perhaps if he tells you what information he needs, you could just hand him that information pre-written each week. He may not know, many psychiatrists are just coding low because they are afraid of being audited or questioned. In order to code the therapy portion of the session higher, he would need to be doing 53 minutes of psychotherapy in addition to the E/M portion. I am coding many sessions as 99213 + 60 minutes of psychotherapy (meaning over 53 minutes) and so far no insurance company has questioned it. It means I take no break between patients, and your psychiatrist may not want to do this. Some are being reimbursed much better. And Medicare rates are certainly better with the new system. Oh, you might try your state's insurance commissioner, but I don't know if they deal with self-funded insurance plans -- in Maryland, they do not. The other issue is that the psychiatrist probably bills separately for the two codes, breaking down the $450 actual charge into parts. We have no idea how to do this to allow for maximal reimbursement-- the insurance companies tell out-of-network doctors that this is proprietary information, so maybe if you call the insurance company and ask them what the allowed fee is for both codes, you could ask the doctor to break down the components so that you are reimbursed maximally. So, for example, if the doctor is billing $450 for the therapy and $0 for the 99213 portion, you would only be reimbursed for part of the allowable amount. If this sounds ridiculous and confusing to you, please rest assured that it's no easier for the psychiatrists. I contacted my insurer since my last email.They told me the data about allowable amounts comes from Fair Health (which used to be Ingenix which I referenced in an earlier email). They said when there aren't 9 doctors billing codes in a particular area, Fair Health uses some formula to come up with the amounts. I've emailed the general email box at Fair Health asking them how they come up with this. I also asked when they would compile actual data (now that it exists in 2013) and adjust the rates accordingly. I forgot to mention the provider has billed for different sets of codes this year and the reimbursement has been exactly the same. This makes me think the insurer is just assigning a basic charge to all the codes and applying it. I will have to see if the doctor can split the bill according to the codes to see if that makes a difference as you suggested. Just realized fairhealthconsumer.org lets you input codes and gives you reimbursement amounts. Haven't found answers to my questions about the new codes and updating reimbursements based on actual billings. Dinah said: The fairhealthconsumer.org formula may be helpful to both patients and doctors, so I thought I would share it. It discusses how benefits work if you go in and out of your network, how much you can expect to be reimburse. And it allows you to look up the expected fees for a service by zip code then CPT code. I've discovered that I'm worth considerably more in the high rent districts. I'm looking forward to meeting with Roy and our longsuffering Clinical Psychiatry News editor for dinner tonight. In honor of 100 years of psychiatry at Johns Hopkins, Baltimore cinematographer Richard Chisolm, along with Kindall Rende, created this movie of members of the department talking about psychiatry at Hopkins. Many of the people shown in the film have been guest bloggers on Shrink Rap, and they include our mentors, colleagues, and friends. Both ClinkShrink and I are proud to be members of the department and we are both grateful for the education we've received, so we hope you'll spend a few minutes watching Richard's tribute. 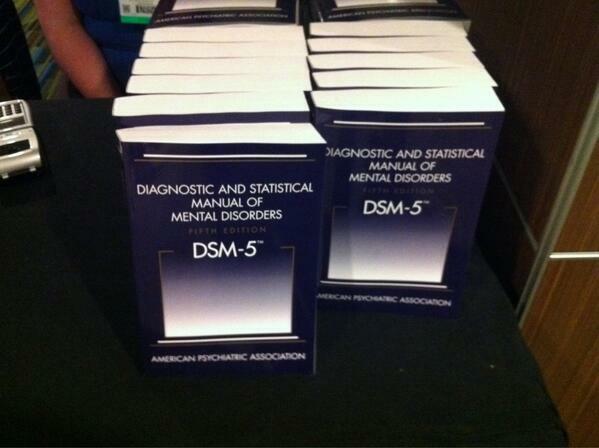 Starting 6/1, CMPS will be using an alternative diagnostic system instead of DSM-5. Jay Neugeboren, Michael B. Friedman, Lloyd I. Sederer M.D. The authors cut through the hundreds of categories in the 1000-page D.S.M. by dividing all mental disorders into two realms: mishegas major and mishegas minor. And for each of the sub-categories it analyzes—spilkes major (and spilkes minor), yenta, kvetch, alter kocker, shnorrer, dementia-with-benefits, etc. 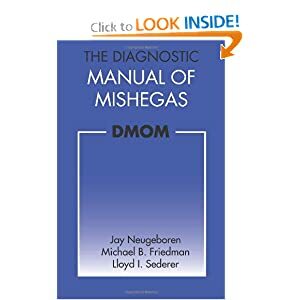 THE DMOM will enable readers to transform ordinary tsuris and mishegas—the glooms, blues, angsts, and general chazzerie of their lives—into transcendent and easy-to-understand categories. It will turn kvetching into kvelling and guilt into gelt, so that readers will learn to live at peace with their inner mishegas and to treasure its precious and life-giving absurdities.
" ich dorf es vi a loch in kop (it's needed like a hole in the head)...."
"A Serotonin Reuptake Inhibitor is no substitute for a good piece of herring!" 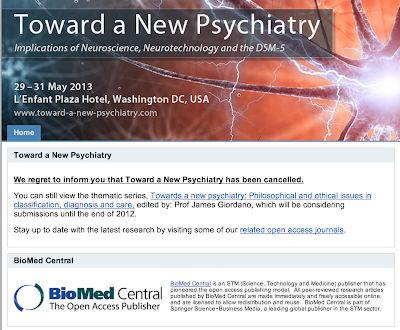 For today's blog post, I whine over on Clinical Psychiatry News, and whining it is. 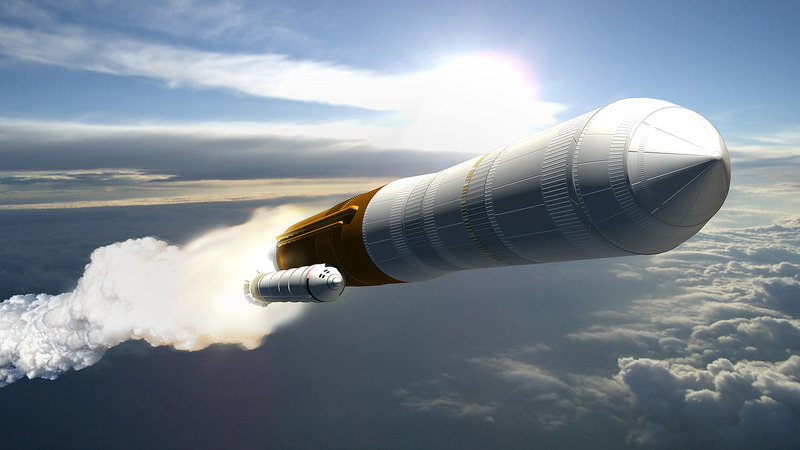 See CPT, DSM, EMR, and more: growing weary of alphabet soup. There's a psychiatrist who writes a blog that's older than Shrink Rap called 1boringoldman. It's a great blog, and Mickey, the blog owner, should have more appropriately named himself 1reallysmartoldman. I go to it sometimes, but it's more political than I like, it's often filled with graphs and numbers (more of a Roy thing), and .....I hesitate to admit this here because obviously that boring old man has better vision than I do....but the font is painfully small and the layout is hard to follow. It's archived by month/year, not subject, and sometimes I'm not sure I've expanded what I wanted to read. Oh, here at Shrink Rap, I change the font to large and we put the whole post, no matter how long, on the page so that no one has to search, though I am terrible about tagging topics. I know, psycritic says we need a new look, but there is something comforting to me about the familiar, even if it's noisy, and think about all the nonsense that travels through your brain, and then multiply that by 3, because there's three of us fooling with the sidebar, sticking on links and ducks, and books and bacon. I don't really understand why our sidebar offers "Shrink Rap with Bacon," but it does. There was a time – it was a long time ago, maybe 40 years ago – when I could think whatever I wanted to think. I could use a jillion models – be doctor medical model at 8AM, psychoanalytic at 9AM, cognitive behavioral before lunch, and throw in a little existentialism in the afternoon. It was like a toolbox filled with a lot of wonderful ways to think about the problems before me and my job was to bring whatever I could find to help until I found what really mattered – some shared way of understanding that my patient and I could use to make some headway. And in conferences we’d argue back and forth, the various different kinds of us, about what was right and wrong, which was all in fun because there wasn’t any right or wrong just different cameras on the same set, then we’d all go to the pub and be human together. It was an exciting time for me. I miss it – always have. Then in the 1980s, that all changed. Because I was a psychiatrist, I was supposed to be a biologist. Well, I am a biologist, but that’s just a piece of what I am and what patients needed from me. And because I was a psychoanalyst, I was supposed to be … psychoanalytic, but that’s just a piece of what I am too and what patients needed from me. And so on and so on through the toolbox. And worse, I wasn’t supposed to meander from tool to tool until I found the one[s] that fit that patient on that day, I was supposed to have some consistent evidence-based position that could be validated by some third party to prove I wasn’t a charlatan or a I-don’t-know-what-but-it-was-a-bad-thing. I wasn’t up to it. I’d spent a long time refining my skills at doing it the other way which was some hard work, so I went off on my own and did what I’d learned to do until I retired. I’m so glad I did that. Now it’s coming full circle. 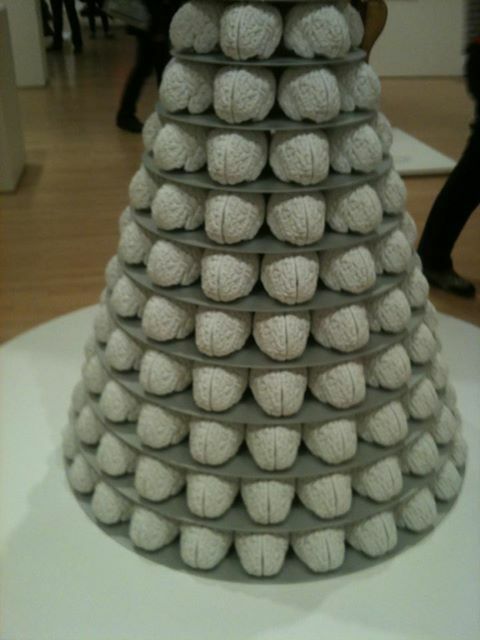 The psychologists are saying that the medical model psychiatrists are off the deep end. The biologists are at war with each other over which biology is the correct biology. The humanists are after the robots. The analysts have learned to be quiet, but you can bet they’re thinking their thoughts. I’m sure all the existentialists in France and elsewhere are off being existential together. I know a lot of very talented and competent mental health types who come from a wide variety of backgrounds but they are unified by a few simple things – a deeply ingrained practice ethic, a suitable awe for the marvelous and monstrous variability in human beings, a genuine curiosity, broad training and life experience, and humility. If they can’t help you, they’ll at least be able to help you find someone who can. When I think back on things, the most helpful piece of my training in mental health was becoming a hard science Internist first. The reason is that I knew a secret my psychiatric colleagues didn’t know. The hard science medicine I left was no more precise and assured than the loosy-goosy psychiatry I went to. Sure there were more tests, more precise diagnoses, more drugs. But there was the wall of physical disease beyond which you couldn’t go. Once you found it, that was the end of the road. With mental illness, there’s no wall. Even with the worst cases of our most devastating illnesses, there’s still something that can be done, even if it is only a small thing. You may not find it, but it’s not because it’s not there. Can Psychiatry Ever Really Get Rid of Stigma? We all think stigma with mental illness is a bad thing. Because mental disorders are stigmatized, people hide their psychic distress and don't get help, or they live in denial about their problems when the fact that they are mentally ill is obvious to others. People live in pain, or they simply don't live up to their potential. Stigma is only part of the problem, of course. There is also the issue of access to care, access to good care, cost of care, dislike of the care that exists (mean psychiatrists, side effects from medications, lousy food or uncomfortable beds on inpatient units), and the fact that sometimes people lack the insight to be aware that they have a problem. Insurance companies, I believe, add to stigma, not because they want to stigmatize patients, but because this is a vulnerable group of people where they can avoid shelling out money. 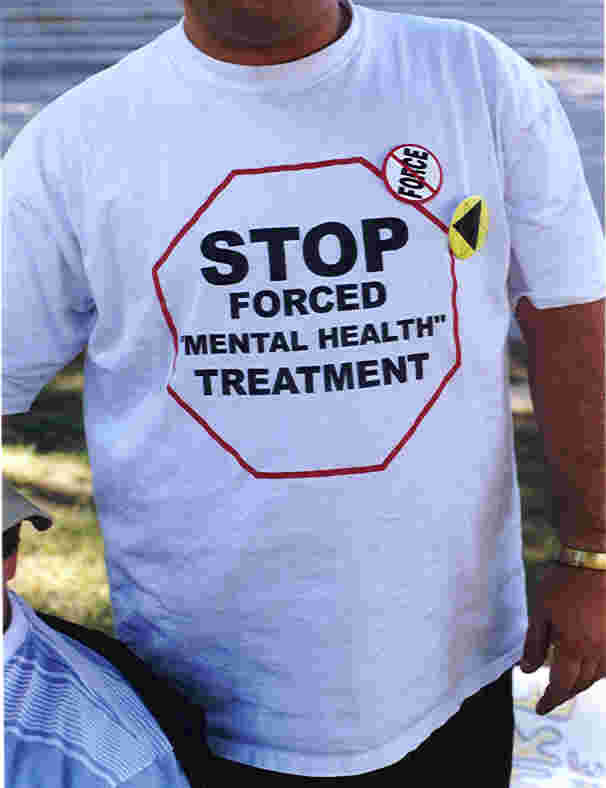 Inadvertently, however, policies that exclude mental disorders or reimburse them differently, increase stigma. Whatever the intent, the result is the same. Some people like to compare mental illnesses to diabetes or hypertension: it's chronic, it's biological (we believe), it's an illness to treat like any other illness. It's a lousy metaphor for a number of reasons: we don't know the biology behind the disorders, and psychiatric disorders are not predictably chronic. Okay, actually, some people can get rid of their hypertension with weight loss, and then the disorders don't actually exist, but somehow once you're labeled with diabetes, it sticks (diet-controlled, even if you're not on a medicine, even if your blood sugar is normal). 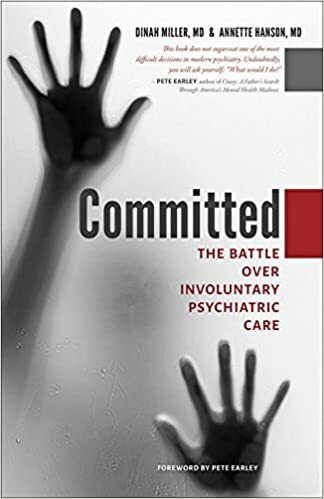 But aside from issues of insurance parity and certainty about the biological causes of psychiatric disorders, there is a reason I think that untreated or unresponsive mental disorders will always have stigma. In the world of "Reduce Stigma," this is going to be the totally politically incorrect thing to say. Psychiatric disorders come with stigma because people in the throes of certain psychiatric illnesses sometimes behave in distasteful, frightening, unusual, and disturbing ways. I think we've done a lot to decrease the stigma of depression and anxiety, and it's been immensely helpful that famous, brilliant, successful, beautiful, rich people have talked openly about their struggles with these disorders. And while I think we've made progress identifying other disorders as problems/disorders/illnesses and not the 'fault' of the person, if a psychiatric problem makes it such that a person refuses to bathe, or becomes loud, irritable, and irrational in the work place, then no amount of reduce stigma campaigning will make it so that people will want to be next to someone who smells bad or whose behavior is erratic. I, too, want to see stigma reduced. But if someone is running down the street naked screaming about aliens, they have a bigger challenge to face than the person who quietly sits in the doctor's office and learns their blood pressure numbers are over a certain level. The answer? Better treatments, of course. And more success stories from those with major mental illnesses. I remain hopeful. Around the Web, With the ClinkShrink Article Addendum! 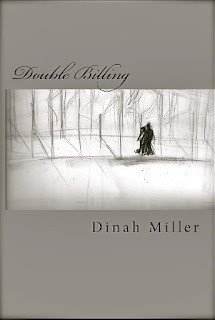 Today is the last day that my novel, Double Billing, is available as a free download. This promotion has had over 1,700 downloads in the last 4 days. If you do read it, please write a review. For those who follow the blog Hyperbole and a Half, you may know that blogger Allie has been silent for the last 18 months because of an awful struggle with depression. She's back, I'm glad, Jessie's glad, and the illustrated story of her depression now has 5,000 comments. I borrowed one of her graphics for this post. It was hard to decide which of designs was best, so do check them out. --From the New Yorker last month. --From the New Yorker this week. --The NIMH says they are going to use different research criteria, not the DSM-5. --And PsychCentral talks about what this means. --Psych Practice is looking at the differences in the old vs the new manual. --And Psycritic is looking out how the new manual changes autism spectrum illnesses. Finally, in case you didn't hear the shocking news (sarcasm dripping), the APA emailed out a news alert that an infant's inconsolable crying is associated with a higher risk of post-partum depression. Maybe I'm the only one who doesn't find this fact to be obvious. You can read about it in Pediatrics. Oh, no, I almost forgot, ClinkShrink wrote a great article on what it's like to be a psychiatrist in the gang-rule Baltimore City jail. Over on Clinical Psychiatry News, do check it out. I loved Andrew Solomon's book Far From the Tree. His TED talk gives a better flavor for his book than any review I could write, so let me share that with you here. What do we make of the rising suicide rates? 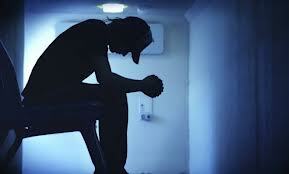 Rising Suicide Rates: Have We Simply Failed? Thank you to Faye who sent me the link to the radio show. Double Billing, my novel about a psychiatrist who discovers she has an identical twin, remains free as a kindle download until May 11th. Since yesterday, it's had over 750 downloads. Keeping my day job, so I'm happy to have people read it for free. My novel, Double Billing, is available on Kindle for free for the next few days. The link is Here. The moment I have time, I have blog posts to write! This could have been interesting. Too bad it was cancelled. The thematic articles that might have been discussed are here. In the same way that we would not have predicted 40 years ago what psychiatry (and even health care, in general) looks like today, it is even harder to predict what these fields will look like in the next few decades. Still, let the prognostication continue. The Shrink Rappers are Relocating to Hong Kong! Exciting news! The Shrink Rappers -- all 3 of us -- will be moving to Hong Kong. I haven't told Roy or Clink this yet, but apparently they have a giant rubber duck in their harbor, and it calls to me. The early editions of the DSM were chaotic. With more recent editions, there have been attempts to cluster symptoms into disorders in a way that is more useful: that allows for meaningful research and allows clinicians to have some diagnostic reliability. It gives us a language, though anyone who tries to talk about disorders that occur on a spectrum, disorders that are suddenly omnipresent, and so-called waste-basket diagnoses, knows we still have a long way to go. The "science" of it aside, the new DSM has been fraught with years of political derision. Let me talk just a little about the dilemma of creating diagnostic categories. On one side, there are those who don't like the idea of labeling people with diagnoses that may stigmatize them, limit their opportunities in the future, send negative and potentially damning messages that the prognosis as a mentally ill person is bleak, or that categorize normal human reactions as psychiatric disorders. To these individuals, it would be best if there were fewer diagnoses that captured few people. The question gets raised as to whether certain conditions -- including issues involving sexual orientation and gender identity-- should be classified as 'illnesses' or embraced for their diversity. Sometimes these issues are dependent on our culture, and as our culture evolves, our definitions of what constitute illness must also bend. If you have a few minutes, by all means, read Andrew Solomon's Far From the Tree. He doesn't limit the question of disease versus diversity to psychiatric illnesses, but he includes a few. On the other side, there are those who want to be captured by a diagnosis. The politics of it includes the fact that diagnosis is no longer simply about agreement for the sake of research, best treatment, and prognosis. It now is about money (isn't everything?). If you don't have a diagnosis, you can't submit a claim to an insurance company. So a person who wants to talk to a shrink about rough things going on in their life and have that covered by insurance or permitted in a clinic can only do that if there is a diagnosis, even if that diagnosis is Adjustment Disorder. Without a diagnosis you can't access certain services like psychosocial rehabilitation programs, case management services, a wide variety of educational provisions for children which may include smaller classrooms, personal aides, and the extension of educational services until age 21. A diagnosis may even get someone a free fishing license. And diagnosis justifies treatment with medications, which are sometimes quite helpful. If you're shy, it's who you are. If you have social anxiety disorder, you can take a pill, and that's good for the pharmaceutical company that makes that pill. I don't like to pass judgement on these things: I don't believe that one person should stand over another raging "You have Social Anxiety, you need medicine!" but to the patient who feels he's suffering and his suffering is alleviated by the pill, I'd like him to have the choice. (Though maybe we don't need direct-to-consumer advertisers telling people they have illnesses?) Finally, diagnoses may explain the inability to work and the provision for governmental support. So while there are people who want the DSM to go away, to have less diagnoses, to be spared having their stories captured as mental disorders, there are those who hope to be captured by these categories, who hope for more of them, so they can access treatment, services, medicines, provisions & allowances. And the APA is not immune, they will be selling the DSM-V, charging for courses, bending some money their way. They've put a tremendous amount into hashing out these categories, and what organization doesn't do things to make money? We haven't said much about the DSM-V here on Shrink Rap. There's not much to say at this point. Personally, I'd be a bit more interested if a major change to my paperwork life -- which suddenly seems to take hours more a day than it once did-- was not coming on the heals of the CPT Code changes (I'll spare you the links). Over on PsychPractice there is a survey and discussion about concerns about the new DSMV and Massachusetts General Hospital has done a survey on clinician concerns and has a white paper on the topic. Me? I'm hoping someone will tell me what codes to use and it won't have much impact on my life. How Do You Know If You Have Dementia? Stolen from the Hopkins Mental Disorders YouTube site, Dr. Peter Rabins, co-author of The 36 hour Day, talks about how to figure out if you have dementia. Note to ClinkShrink who always teases me: losing your keys (and presumably your cell phone) is not a symptom of depression. Clinically, what I hear most is that people have trouble retrieving words, and this is usually associated with normal aging or with medications, not as a typical early symptom of Alzheimer's Disease.